Kununurra: Home of the iconic Lake Argyle, mighty Ord River, world heritage listed Bungle Bungle range, and positioned on the door step of the majestic Kimberley Coast. A day here is just the beginning, a lifetime is never enough.It is said that once you drink the water of the Ord River, you will always return. 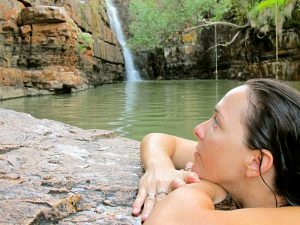 When planning your Kununurra itinerary and booking Kununurra tours, you also need to carefully consider your Kimberley accommodation. 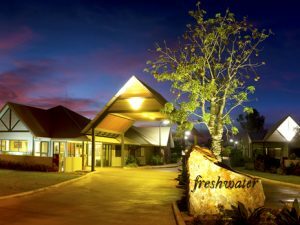 A simple google search for Kimberley accommodation self catering or accommodation Kimberley wa will help you to find Freshwater Apartments, a beautiful 4.5 starself catering accommodation property located just 1km from Kununurra’s town centre, opposite the picturesque Lily Creek Lagoon. We offer 60 self contained apartments 4.5 star rated, and voted in the Top 10 hotels of Australia on Trip Advisor in 2016 and 2017. We are also local, which means we can help you with any queries you may have when planning your holiday to Kununurra WA. We’ve put together our Top 10 things to see and do in Kununurra. In no particular order! 1. A scenic flight to a remote waterfall for a secluded swim with HeliSpirit. 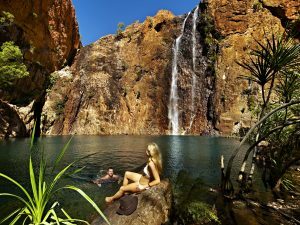 HeliSpirit offer a range of fantastic helicopter tours and safaris in Kununurra and at seven other bases across the Kimberley, however one of our favourites would have to be the flight departing from Kununurra to a remote waterfall, stopping for a swim and picnic. Just magic! 2. Join Triple J Tours for an 80km journey down the upper Ord River, from the Lake Argyle dam wall to the diversion dam at the Kununurra township. 3. Vastly different to the Ord River Cruise, and equally enjoyable is a cruise with Lake Argyle Cruises or Lake Argyle Tours. A range of tours are on offer including morning, lunch cruises, sunset cruises, and full day tours. Allowing time for a swim and sip of bubbles on the water. A relaxing way to take in the scenery, wildlife and history of Lake Argyle and surrounds. 4. Bungle Bungle range/ Purnululu National Park: There are a variety of tour options available with AviAir, Bungle Bungle Guided Tours and East Kimberley Tours, however one of our favourites would be to fly in with AviAir and join a tour with Bungle Bungle Guided tours for a fantastic insight into the significance of the Bungle Bungle to traditional land owners. Overnight at the East Kimberley Tours Bungle Bungle Savannah Lodge and return to your Kimberley accommodation the following day. 5. 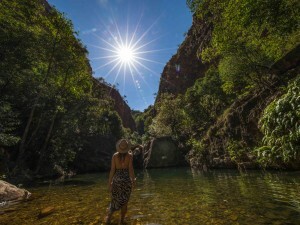 Spend a day exploring the Kununurra township and surrounds: Visit Artlandish Aboriginal Art Gallery, the Hoochery distillery, Kimberley Fine Diamonds, Artopia Gallery, Mirima National Park, the Sandalwood Factory, Ivanhoe Crossing, Penney’s Prints, Stonecraft gallery, Zebra rock gallery and Kelly’s Knob lookout. 6. Just 100kms from Kununurra is the historic port town of Wyndham. It is well worth visiting Wyndham for the scenery, history, birdlife, and the incredible views from atop the Bastion Five Rivers Lookout. 7. Ord Valley Muster. 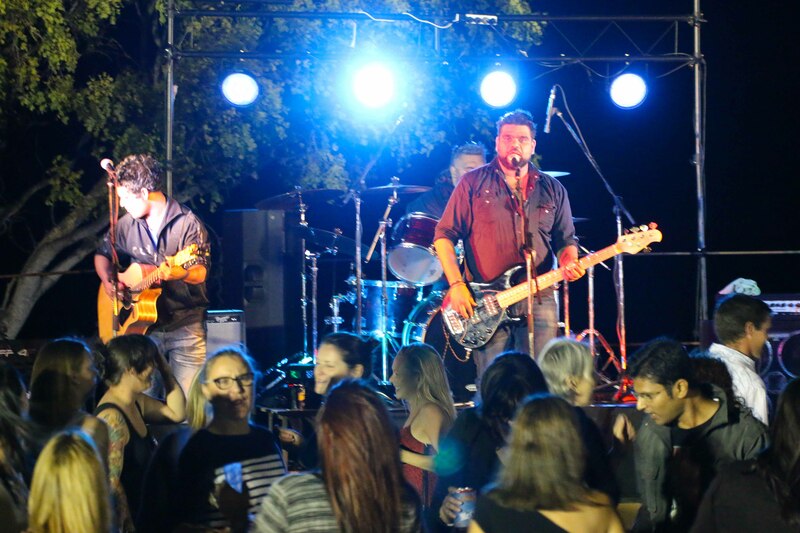 Held in May each year, the Ord Valley Muster is a celebration of all things Kimberley. 8. Fishing: Join HeliSpirit, Northbound Charters, or Ultimate Adventures to try for that fabled Kimberley Barramundi! 9. The waterfall season falls in the months of February and March, and can be seen by foot, boat, vehicle, or for the lucky ones – Helicopter. 10. Join AviAir for their Mitchell Falls Discover Tour and see the magical Kimberley Coast and iconic three tiered Mitchell Falls. This full day tour covers an area the size of central Europe!